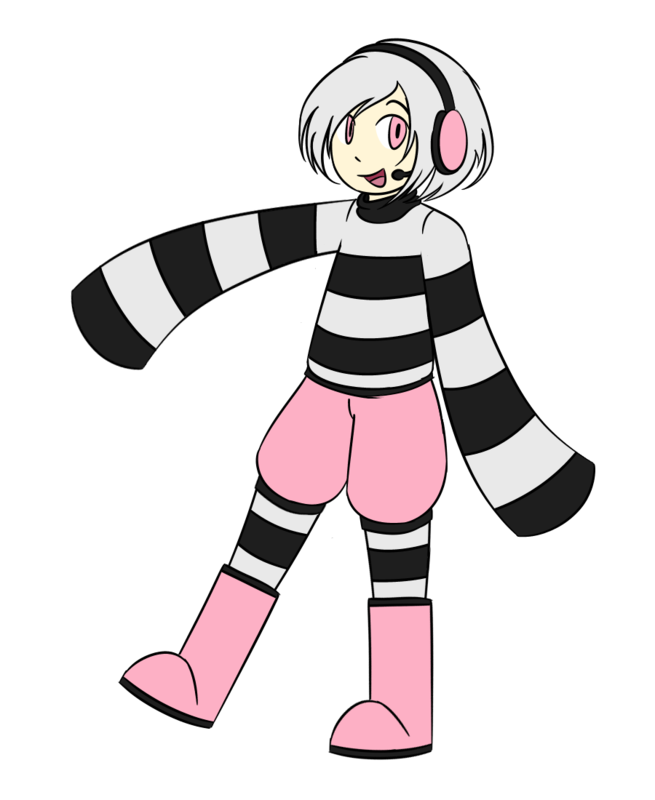 Despite her strange and almost ominous name, Enigma is very flighty and peppy. She's childish and bubbly, with a liking for oversized clothing and stripes. She's also kind of weird. 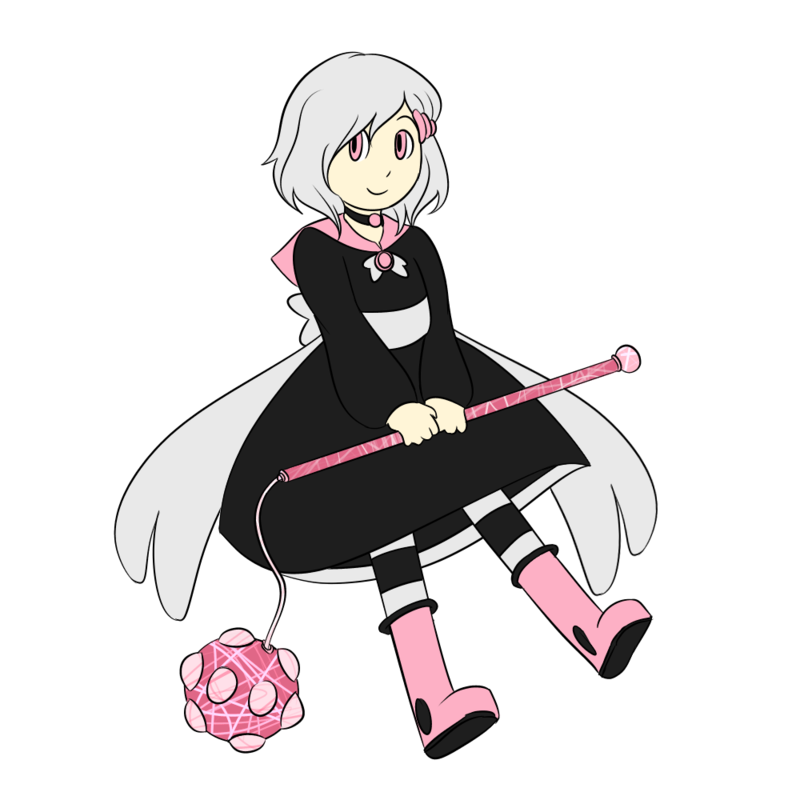 The sort of person who picks up pretty rocks and is always on the look out for coins on the ground; she has a collection of both. When upset, she flails her arms, slapping people in the face with her sleeves. While her behavior is reminiscent of a child's, she is still an adult in her own right and isn't ignorant of serious subjects; however, she's incredibly dense. It's not that she doesn't understand, it's just that it takes her a while to realize what's being talked about; when she does, she can converse like anyone her age could. If it interests her, at least. If she's not chattering away, she's usually playing with her Skip-it or eating some kind of sweet. When she feels as though another is nice to her, she's quick to want to befriend them. Her best friend is Lucian and her "sister" is Julianne Winters.